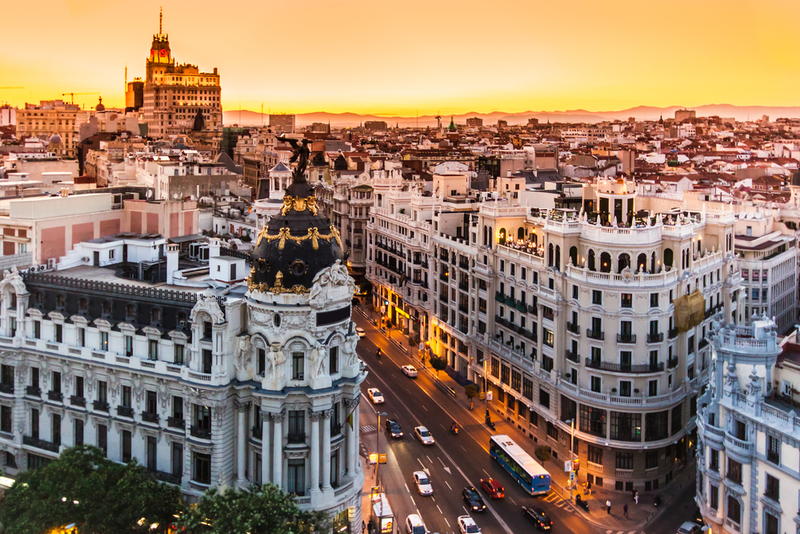 Madrid is the capital of Spain and is the largest city in the country: with more than 3 million inhabitants. 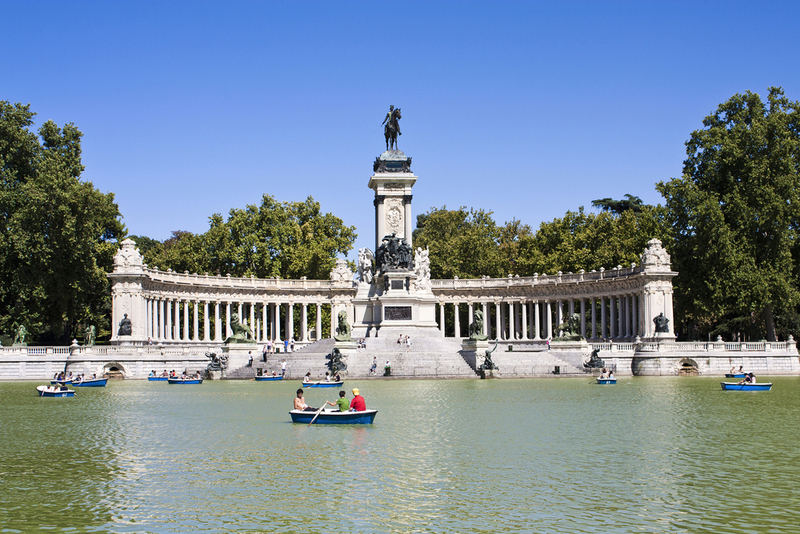 Art, culture, shopping, flamenco, parks and gardens, tours and excursions, eating and drinking, nightlife, leisure, history… Madrid has all this and more. Located in the heart of the city, and covering an area of 118 hectares, thousands of locals use the landscape and beauty of the gardens, monuments and fountains for jogging, walking, cycling or skating along its paths. In the centre of the park, there is a lake where you can rent a boat and enjoy a fun ride. There are also many terraces where you can have a snack and enjoy the atmosphere of the place. 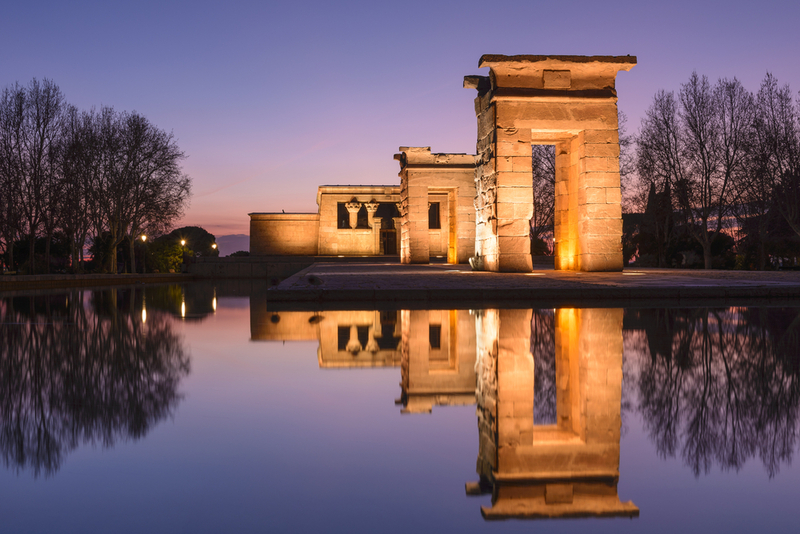 Debod Temple is famous for its sunsets. The best sunsets in Madrid can be seen here. Located in the mountain park, it means you can enjoy the sunset without any buildings interfering with your view. A very relaxing place, that will transport you back to ancient Egypt, it was donated to Spain in 1968 by the Republic of Egypt in gratitude for their help in rebuilding the temples of Nubia. The perfect place to relax, stroll and let the mind go blank for a few minutes. The principal and most charismatic street in Madrid and an essential place for anyone visiting the city. Virtually since its construction in the twentieth century has been the main centre of entertainment for the capital where you´ll find cinemas and theatres, clothing stores and restaurant chains are also in this grand avenue. It’s a fascinating place to explore on foot where, if you look up, you will see the ornate tops of the buildings, and if you look back down, you will be surprised of the incredible beauty of some of the buildings in this area. 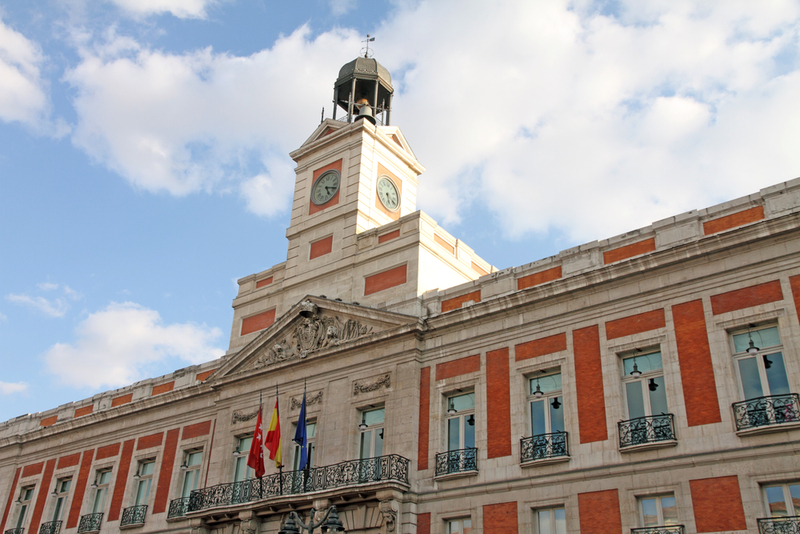 In the heart of Madrid, Puerta del Sol is kilometre zero of the city and one of the most emblematic and busiest squares in the capital. It is an area that is always lively with people of all nationalities including locals and tourists plus traffic too. One of the peculiarities of the Puerta del Sol is that people come to the square to celebrate New Year’s Eve and the New Year. Following the Spanish tradition of eating 12 grapes on New Year’s Eve, the second hand of the big clock, that dominates the square, marks the last 12 seconds of the year. On that night there are about 25,000 people enjoying the fun. Another of those essential places if you are visiting the city and located next to the Plaza Oriente gardens, the Royal Palace was built after the fire in 1734 in the Real Alcazar and covering an area of 135,000 square metres makes it the largest palace in Western Europe. 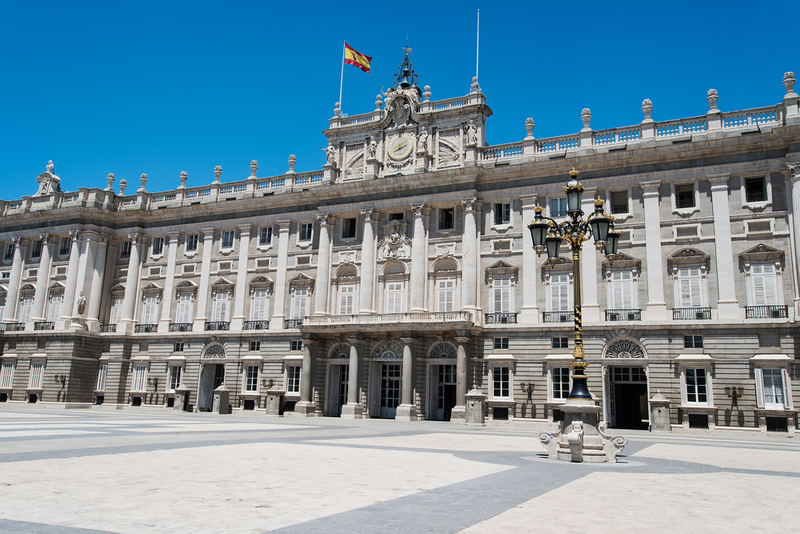 Today it is used for official ceremonies as the Spanish monarchy resides in the Zarzuela Palace. We show you how to enjoy a weekend in Madrid, the capital of Spain is full of beatiful and historical places that you can not miss in your travel. What to see in Valencia?